Click on the above Register Now button to register on-line as a Sponsor or Golfer. 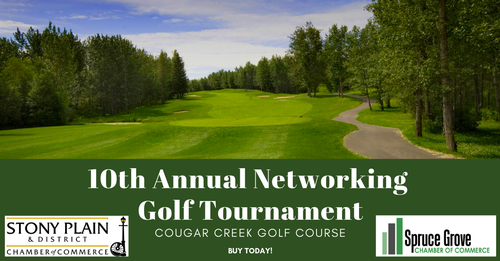 Join us for the 10th Annual Networking Golf Tournament co-hosted by the Stony Plain and Spruce Grove & District Chambers' of Commerce. The golf tournament will be held at Cougar Creek Golf Course west of Stony Plain. You don't need to be good at golf; you just need to know how to network and have fun! 3 or less players can register as an Individual Golfer by changing the number from 1 to the amount of golfers you require. NOTE: Hole Sponsors will have 7:30am hole setup access -you provide staff, signage and an activity. Tables and chairs can be provided upon request. Click here to download a PDF Hole Sponsorship form. 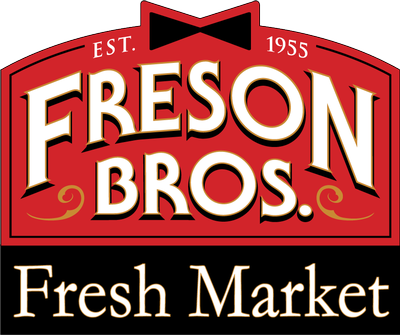 PRIZE SPONSORS: As a Prize Sponsor, you will receive recognition at the BBQ, on our website, in our newsletter and in the Stony Plain Reporter / Spruce Grove Examiner monthly Chamber pages. Both individual or team (4 of the same items) prize sponsorships are available. Click here to download a PDF Team and Individual Prize Sponsorship Form.